Based on a true story about my experience with abuse. I never thought it would be me. I never would have imagined that this would happen to me. I was sitting in the police department with my roommate, shaking. I was filling out a form. It was late at night, probably 10 pm. Late October, right before Halloween. It was that time of year where it was finally starting to get cold out. I felt weak and strange. The fluorescent lights in the police station were bothering me. Fluorescent lighting always bothered me, I never liked it. But now, it made things even more depressing than they already were. I felt uncomfortable and awkward. I felt ashamed. My roommate most likely didn't want to be here. I didn't want to be here. I wanted to be at home. My new home. Or was it my old home? It was supposed to have been my home along- where I was supposed to be living all along. I just wanted to get home, start unpacking everything and get some sleep... Oh wait, I still had homework to do. It was a Thursday night. I think had a test the next day. I hadn't studied at all, I barely knew what we were learning about. The test was sort of the last thing on my mind. School hadn't been a huge part of my life for the past two months. He had had almost complete control over my life. He had driven us everywhere in my car. Him driving my car had been a thing since we started dating. One day I said I was tired of driving and that he could drive, and that sort of just stuck from then on. When we lived together, the keys were always with him. If I tried to get them, he would do everything to get me away from them. He'd run after me, push me into walls. He had put subs in my car that I didn't want. They were all for him. I had known him since high school. He was known back then to be a rebel of sorts, he always got in trouble at school or with the law. Then, he had sort of drifted off the face of the earth after high school. Then, he came back but sort of quietly. He lived somewhere else, with his mom and stepdad and worked at a job where his uncle was the owner. A mutual friend of ours had set us up again, and we hit it off. We had a lot of things in common and we bonded over old times and the things that we had in common. Quickly, we started dating. The signs started to appear, but I ignored them. The signs included him asking me to tell him that I was hanging out with a guy before I went and did it. He was jealous of me hanging out with the ONE guy friend I had. He was jealous of the relationship I had with my now deceased male best friend. He was dead. In the ground. He would send multiple text messages in a row. And when I didn't respond because I was busy, he would send even more messages. He would freak out, and think I was ignoring him. There were times he told me he hated me when I didn't do anything; times he told me we were done when I didn't do anything, and then take it back and say he was sorry. He was paranoid. He used his mental illness as an excuse for his abusive behavior. He claimed he had schizophrenia, bipolar disorder, manic depression paired with an anxiety disorder, social anxiety disorder, and PTSD. I don't know if he had these or not, but, nonetheless, he was a very unstable person. He was doing all this freaking out stuff even when I had a terribly debilitating UTI. I was shivering in my bed uncontrollably, sweating, had a fever of 104, intense pain all throughout my body especially my back, and was throwing up. This happened four times while we were dating, and I eventually realized that these UTIs were from the stress and abuse he caused me. He was very dependent on me emotionally and physically. He had to be with me as much as he could. After the summer, he wanted to be with me where I was going to college, so he found a job there and decided to move with me when I left for school. This should have been another red flag. His job was as a security guard at the library on campus. This should have been yet another red flag. You would think his paranoia and aggression got better when he was able to be closer to me, but it didn't. It got worse. He saw what my life was like at college. I had a social life. Roommates. Friends. And for some reason, he didn't like that. He wanted me all to himself. The first time he physically abused me was a week after I moved into my new apartment with my new roommates. I can't even remember what the fight was about, but he got mad at something little and tore my poster of the bedroom wall. He pushed me into a wall and bit down on my shoulder. His excuse was that he hit his knee on the desk and bit down on me in response to the pain by accident. Soon, he convinced me to move my stuff to his apartment. It would be the dream, we could smoke pot anywhere we wanted, live as a couple. Plus, he needed some help to pay rent. My car became his car. My car keys were his. My things were his. Sometimes I would be late or miss class because he wouldn't take me, or because he was busy abusing me. Sometimes I didn't want to go to class because of the bruises and marks he left. He always got mad at something little. Like seeing a guy friend coming up and talking to me. He got mad, tried to chase me, and pushed me to the ground. Two girls from afar on campus saw this and yelled at him to not touch me. They called the cops on him. The cops came to campus. He swore up and down he did it by accident—I believed him, so the cops did too. He would push me into walls, as I said before. He would use his fingernails to scratch my legs. He would hold my face and neck so hard that it hurt so much. That it would leave bruises. He would scream in my face at the top of his lungs, shaking. One time he took a pillow and stuffed it over my face. He took a piece of paper and balled it up and tried to stuff it down my throat—all because my brother wanted to go out to dinner with me. He would pull my hair and throw me down on furniture. He would ask me who I was trying to look good for. He would tell me I could lose weight. He would tell me things like this to break me down because he was so insecure himself. People ask, why didn't you get out sooner? Why didn't you ask for help? They just don't know, do they? If I picked my phone up for a second, he would ask what I was doing. He would search through my phone. Sometimes, he would take my phone and throw it somewhere, so I couldn't find it. He was much stronger than I was. His fury was worse if I was caught trying to run away. Every time I tried to call someone, he would answer for me and say it was a mistake and that his girlfriend was kidding around. But finally, I was able to get out when he got mad about a guy that texted me. I had the chance to get my phone from him and text my roommates and tell them what was happening. He was to follow me to my apartment with my things and not come on the property. If he did, my roommates would call the police. He claimed he left something in my apartment and he refused to stay in his car and came on the property. The cops were called, but he was gone by the time they came. And here I was, three hours later, sitting in the police department with the fluorescent lighting; filling out a form for a restraining order. "There must be two offenses for a restraining order to be processed." My phone buzzed. He was texting me. "2ND OFFENSE: HARASSMENT POST ABUSE." I finally had the power in my hands. I had my freedom back. I may be broken, but I can pick the pieces back up. If I can come back from this, I can come back from anything. Goodbye creepy house with the roaches crawling out from the walls and cupboards. No more secret life my friends and family didn't know about. No more trembling in front of the one who supposedly loved me. He wasn't going to have control over me or my life. No one was ever going to do this to me again. I was determined. 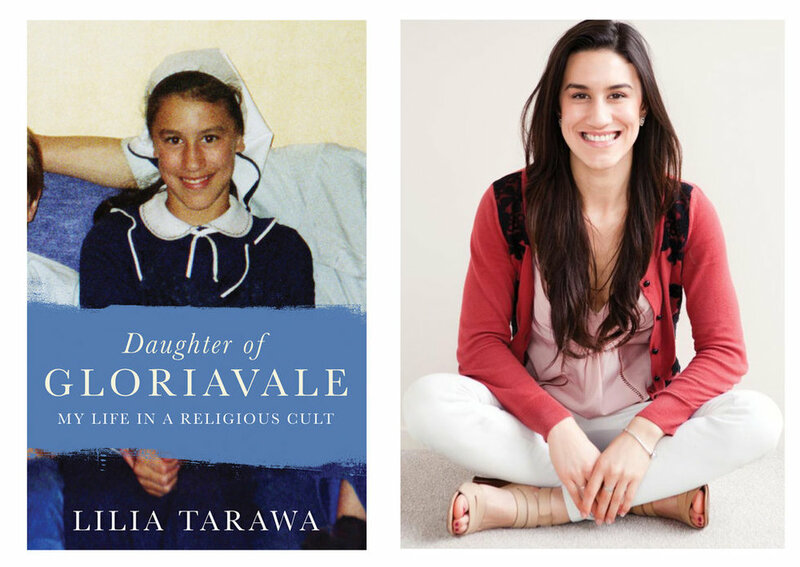 Lilia Tarawa's childhood home, Gloriavale Christian Community, seemed like a dream as a child. As she grew up, she came to understand the silent and deadly grip of oppression and a lack of freedom in this religious cult. Here is the story of how she escaped her past. 1. How did your family end up in a remote place in New Zealand, and how did Gloriavale start? "My grandfather actually started it. He was Christian, and he was traveling over the remote parts of Australia by plane, and [he] was called 'The Flying Evangelist' to teach the gospel of Christ. He was really famous, really well-known… so he was invited to New Zealand in order to preach at the churches [here]. "He brought his wife and kids over from Australia. He then became a pastor for a church here, right on the outskirts of Christchurch. He then had a falling out with another pastor, there was a church split, so he took half the church and the other pastor kept the [other] half of the church. So that’s how Gloriavale kind of started, on the outskirts of Christchurch in this area called the Springbank Christian Community. The members of his part of the Church followed him, and he split off from that church." 2. What was the most chilling part of being in Gloriavale, other than the anecdote you mentioned in your TED talk? "It’s the amount of control they have over your life. You have no fundamental rights and no choices. I wasn’t allowed to choose what I would wear, who I would marry, how many babies I would have, what career I would have… I had to wear a blue uniform all of my life (a blue headscarf), I had to marry a person the ladies [Gloriavale’s community of leading ladies] chose for me, I was only allowed to work in domestic duties such as cook, cleaner or a preschool teacher. There were some jobs women could do in the offices, so I could do those." "But like, I wasn’t allowed off the premises unless I had the permission of the leader. I wasn’t allowed to listen to music that was not vetted by the leaders. I wasn’t allowed to watch any movies that weren’t vetted, edited by the leaders to remove anything that wasn’t appropriate. I had no rights, and it’s very… You live in a shell of the person that you are… and you see things happening that are wrong, and you know [those things] shouldn’t be happening, but you can’t do anything about it because you’re like a robot. You always have this sense of like something’s not quite right, and I don’t know what it is. But because I don’t have my freedom of speech or thought, I’m not even allowed to question it." 3. How do you think that has affected your life today? Getting away from the community and being able to live with these new freedoms? "Hugely. My cousin left a few weeks… and she messaged me on Facebook messenger: 'Hey Lil, guess who it is?' and it’s like 'Wow, I haven’t seen you for like eight years!' And she’s showing me pictures like… here’s my husband, here’s my baby… and then I started asking her about girls who were in my class back in Gloriavale… how’s Bethany doing? How’s Mary doing? Because I wanted to know, these girls were my childhood friends, and she was like… she’s married and she’s got four children, or like, she’s also married, she’s got like 3 children, and she’s working in the office. "And I’m just like thinking, here I am. Same grade, same school as these girls. I am a business owner, a writer, a feminist, a leader.. I’m traveling the world, I’m speaking out against religion, I’m an agnostic, leaning towards atheist. Like, I’m everything Gloriavale despises in a woman. And I’m nothing like all those girls in my class are. In another world, in a previous world, I would have been married, have four to five children by now, and [I’d be] working as a domestic slave in Gloriavale." "And I guess now because of this opportunity, I have to do the most that I can of it. It’s like my duty to Gloriavale." 4. So it's given you a new sense of purpose, getting away from that environment at Gloriavale? "Totally. And because I have witnessed so much, and [now it’s like] I’m racing to issues in the world, like sexism and discrimination and especially the way that religion is impacting us as a society. How religion has impacted us in history because I’ve been on the receiving end of religious beatings (so to say)." 5. What were some specific moments that seem outrageous in hindsight? What is a defining memory of Gloriavale that makes you wonder, "Wow, I can't believe that happened to me?" "The whole thing?" she laughs. "But honestly, I wake up, and I cannot believe I used to live there. Like it was one point in my life, not too long ago, that was my reality. That’s not the overwhelming crazy things, memories that you take with you… it’s the everyday. I woke up, I put on a uniform every day, I prayed every single day. I praised the leaders every single day. I ate with 500 people, in a mess hall, every single day. I lived in one bedroom, in a hostel with my family, every single day. It’s the whole thing that as an adult woman, as a free spirit, I look back on and I think 'Holy sh*t.'"
6. How has the paradigm shifted through your everyday life? "When you change the way that you look at the world, it changes everything in your life. It changes the choices you make… when you choose the people you want to date, when you choose your sexuality, when you choose your career, when you choose anything, it’s all affected by the experiences you’ve been through as a child." 7. When I was watching your TED talk, one burning question I had was about how you got out from Gloriavale. How did you escape and what did you learn from it? How did you even manage to leave such a society? "Well, my parents were very prominent in the church community. My dad was one of the… they called them 'servants.' They’re a group of men that act like a board of directors for a company. My dad was one of those men. My mom was one of the highest-ranking women in Gloriavale because she was the only woman in Gloriavale that held a prominent leadership position. So, we called her the housemother*/housemaster because she looked over all of the women’s realm and handled money for the budget for food, concerts, clothing, etc. "So [my parents] went to the leaders and somehow persuaded them to give us a duration where our family was living on the outside but also inside the border of Gloriavale. This was the first time it happened [in the history of Gloriavale]. So we were living in a house about 40 minutes outside of Gloriavale, in a lakeside town called Moana. 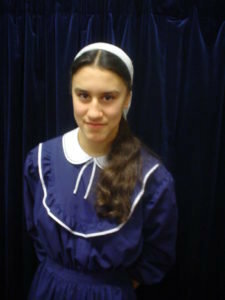 And we were going there every night to eat dinner as a family, sleep, but then during the day, we’d go back to Gloriavale, put the uniform/headscarf on, do our duties, go to school… so we were living that way for about 18 months, and it was all kind of coming. We knew the leaders wouldn’t allow us to live that way. They wanted my siblings to return to the church. But it was actually starting to work the other way. "We as a family were starting to experience this new taste of freedom. By living in Moana, we were actually able to isolate ourselves against some of the teachings and brainwashings of Gloriavale. So, eventually, we made a decision that we would leave. "It was a Sunday. Back in Gloriavale on Sundays, we would bring our beds down after the afternoon prayer session, so everyone was sleeping. And my dad said to me, 'Keep the kids in the bedroom and wait here. Be ready to go at a moment’s notice.' So, I hid the kids while my mum was at our other house in Moana. "I ran back to my cousin’s room, and they lived right beside me. I was pretty close to my cousins; they were like siblings to me. And I just hugged them and I said, 'I love you so much. See you tonight at the meeting,' except I wasn’t going to the meeting. And so, after that I ran across the ranch to the van, and we drove out down the driveway. I looked back at the compound, and I thought, “This is the last time I’m going to see this place” and we were gone. So we went back to Moana, we changed into worldly clothes. So I put on pants, and I thought, 'Wow. This is really happening. I’m wearing pants!' And then we drove over to Christchurch." What was the biggest lesson you learned from getting away from Gloriavale? "Probably the biggest lesson that I learned is that sometimes you have to pay a really high price for freedom, and you have to sacrifice a lot. I had to sacrifice life as I knew it, the roof over my head, the clothes on my back, the friendships that I had, the lives I had known for all of my life, I had to let all of that go to have something different, to have freedom. "Also that: it’s more important for you to honor your own beliefs, and do what you think is right, no matter what everyone and your society says to you. Because everyone at Gloriavale, they all thought we were wrong for leaving. But we weren’t. It was the right thing for us to do. It’s the same thing that applies to the world out here. Sometimes, doing what’s right can actually feel like it’s not that right because so many people around you are stuck in their ways or still have rigid beliefs. So I guess the biggest lesson I’ve learned is to do what’s right." Stay tuned for part two of Lilia's interview to find out how she adapted to her new life as a free woman.